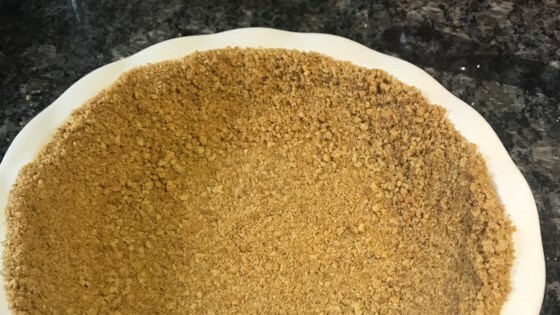 "This graham cracker crust is not as sweet as most others. It's simple and delicious, and can be used for almost any kind of pie. Best with pumpkin or chocolate!" In a medium bowl, mix together graham cracker crumbs and melted margarine. Place mixture in a 9 inch pie pan and press firmly into bottom and sides of pan. Great! I used this for cheesecake and didn't prebake it beforehand. I used 1 1/2 cups of graham cracker crumbs. Delish!